MEXICALI, Baja California (CBS 8) - One of the hardest hit areas from last weekend's magnitude 7.2 earthquake is the capital of Baja California. Many homes were destroyed or seriously damaged in Mexicali, but the Red Cross is stepping in to lend a helping hand. 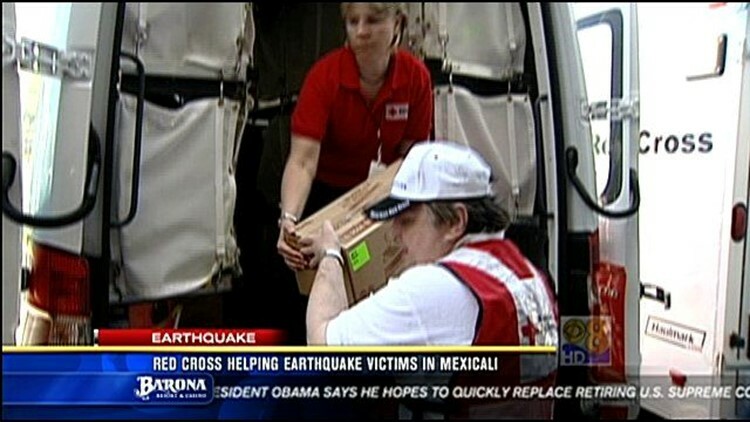 In this News 8 video story, more on the Red Cross's efforts to assist quake victims in Mexico.